Darren Aronofsky has proven throughout his career that he is capable of stunning visuals and unique storytelling. The director needed both when pursuing the massive movie project, Noah, a story about a biblical flood and thousand of creatures sheltered by one family during the darkest of times. Aronofsky mostly pulls it off, telling a compelling biblical tale with ties to nature, and even monsters of a sort. Noah isn’t the family-friendly story people only familiar with the title might expect. Early on, we are introduced to a young Noah, who witnesses the death of his father at the hands of a sinning man named Tubal-Cain (Ray Winstone). 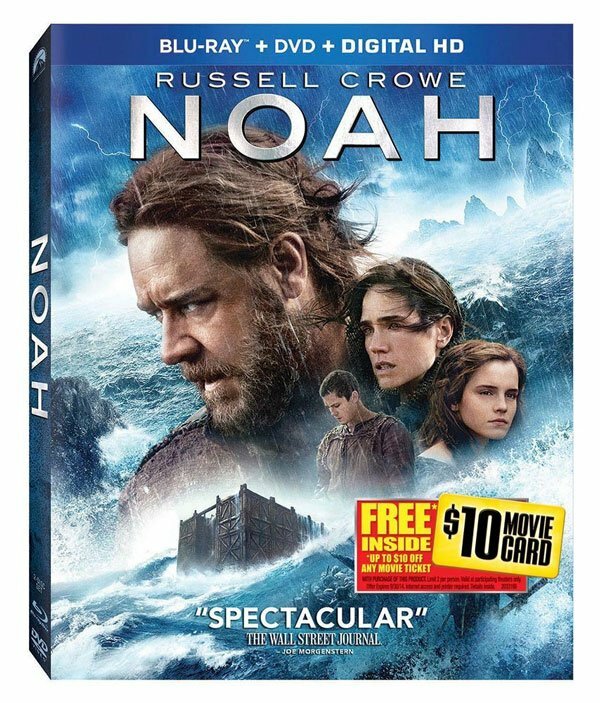 As a grown-up, Noah (Russell Crowe) strives to live by the more earthly tenets his father taught them, tenets he then teaches his own wife (Jennifer Connelly) and sons (Logan Lerman, Douglass Booth and Leo McHugh Carroll). He begins to have visions about the great flood, and much of the rest of the tale is familiar biblical fodder, portrayed with deep earnest by Crowe and co. Except there are monsters, angels sent to Earth who now strive to protect Noah and co. as the rain begins to fall. These rock and clay creatures are horrific and burdened-looking, but are mostly kind individuals. They, like the animals and the great flood, are animated spectacularly, creating a visually lush movie with plenty of interesting characters. If I had any complaint, it’s that the familiar story can be dull on occasion as Aronofsky and Ari Handel’s script strives to push the action forward. But it’s a beautiful movie, provided you are able to see the biblical narrative as more of a literary text than a fact-filled one. Best Special Feature:: The best special feature is "Iceland: Extreme Beauty." It takes a look at where the film was shot, and it offers up some of the most beautiful shots from the film. Really, that’s the tremendous upshot of shooting a big budget film like this. You can find such stunning landscapes, and it makes the event film seem that much bigger than life. It worked in New Zealand for Lord Of The Rings, and it works here. David Lynch’s cult series Twin Peaks has informed much of the TV that has come after. It has inspired niche fanbases since its premiere in the early nineties, and it is finally hitting homes in High Definition today in an awesome full-series set that is chock full of bonus features. Deleted scenes, outtakes, image galleries, interviews and featurettes are all part of the Twin Peaks: The Entire Mystery set, which should go a long way to make it the definitive release of the series, and possibly the best purchase you could make this week, and maybe even this year, provided you are part of that elusive niche fanbase. The box presentation for Twin Peaks: The Entire Mystery is almost as impressive as the High Definition look at the nineties series. CBS Home Entertainment and Paramount Home Media Distribution chose a box size and paper texture similar to a lot of HBO’s nicest sets. However, once you open up The Entire Mystery, the similarities end. The entire set is a dense flip-through book filled with prominent images from the series, as well as the lists of extras and episodes and the discs themselves. There’s even a nice little secret compartment at the bottom of the box, where you can hide half lockets and the like. The features also offer a lot for fans. 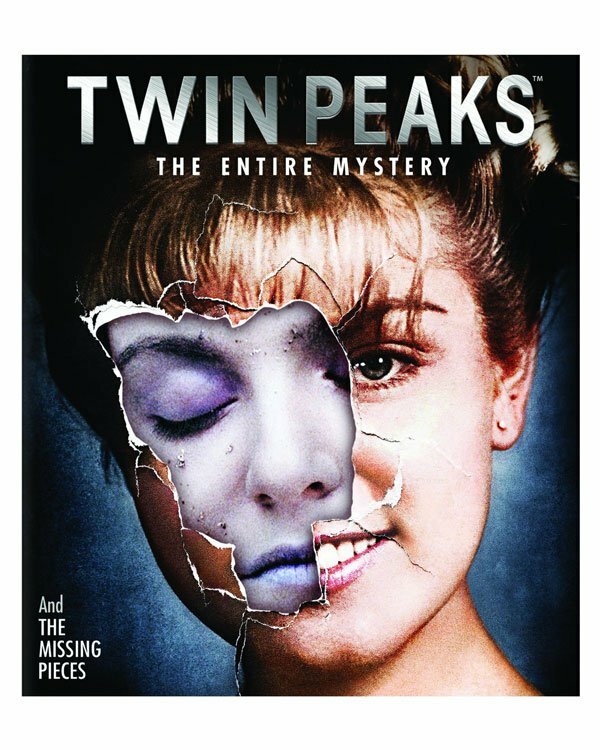 I meant it when I said Twin Peaks: The Entire Mystery is the definitive set for the series, but with a $134.99 list price, I wouldn’t recommend it for those just getting into Lynch’s show. On the first disc alone, there are bonus features, plus two different ways to watch the pilot. The best way to get through the set is to watch one disc and then consume the corresponding extras. A lot of TV sets are set up this way, but if you are just planning to binge watch, you don’t need all the fluff. Best Special Feature:: It's a toss up between Twin Peaks: Fire Walk With Me and the deleted footage available on the disc. Both are big time commitments, but Fire Walk With Me, especially, looks great on Blu-ray. If Lynch ain’t your thing, have no fear. Here’s a list of a few more sets coming out this week. Unless otherwise noted, sets are available on both Blu-ray and DVD.